[ARCHIVED THREAD] - What is this on my buffer tube? I am doing an inventory on my parts. I have this in my collection and can't figure out what this is on the threaded end of one of my buffer tubes. The castle nut looking part will loosen from the part where the end plate would be but I can't figure out how to remove the part taking the place of an end plate. Any insight? 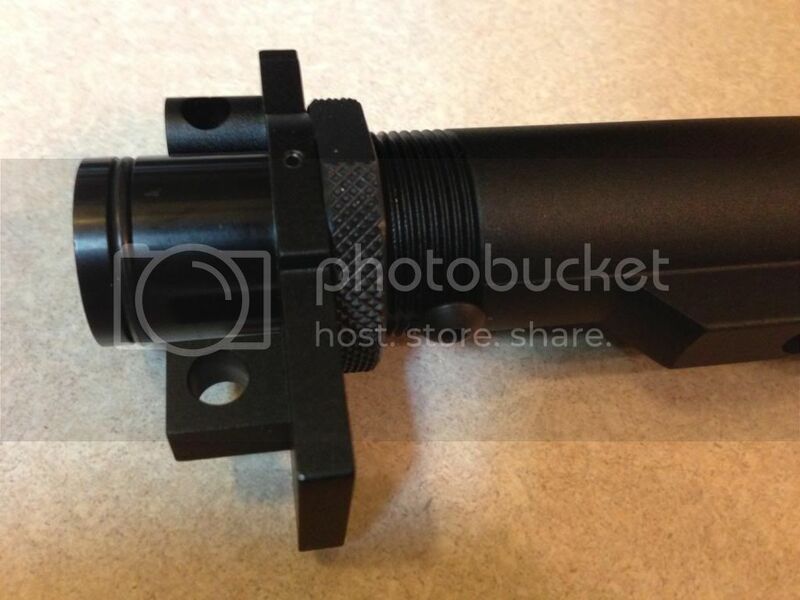 My guess is it's some kind of adapter to run a AR15 stock on a Non-Ar15 weapon. Thats exactly what it is. Thanks guys. I was given this a couple years ago and with the cost of everything going up, wanted to see if I could salvage it for a build. you try loosening the allen screw? I removed the allen screw and the adapter came off. I figured it was worth a try. The tube seems very low quality and I probably will only keep it around for a spare. It measured as commercial spec.